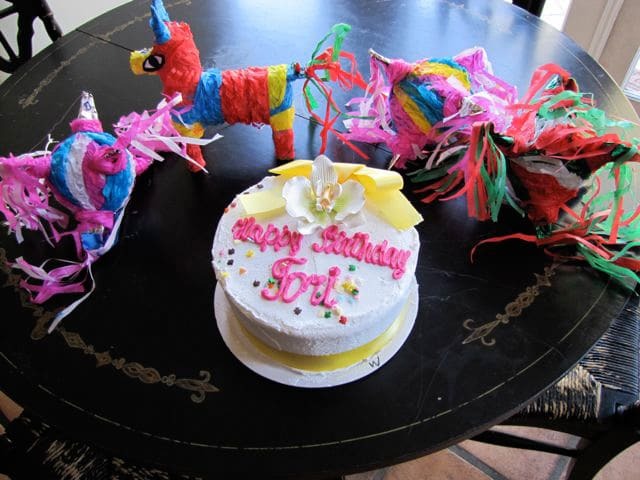 You are here: Home / Tori's Corner / At Home with Tori / Marley Ate My Birthday Cake! Marley Ate My Birthday Cake! I have the best dog in the world, but today he decided to be very, very naughty. Apparently somebody was hungry!! Yes, folks, it’s true. Marley ate my birthday cake. 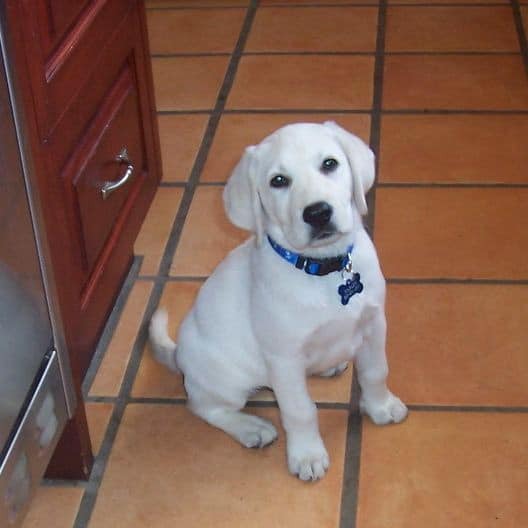 We got our dog Marley a couple of years ago after reading the book “Marley and Me.” My stepdaughter insisted that we get a labrador and name him Marley. After a lot of searching we found our perfect baby labrador and brought him home. He’s been part of the family ever since. Perhaps naming Marley after a notoriously naughty dog was mistake number one. But honestly, our Marley is generally very well behaved. This is the first time he’s ever done anything like this. And I think he feels really guilty judging by the look on his face. What do you think? It is hard to stay mad at them. Great looking lab! Hahahahaha! Esther, that is my favorite comment of the week so far. Hilarious! Hi Tori…There is nothing like the unconditional love from your dog who is truly a member of the family. He just wanted to be part of the celebration and couldn’t wait to dig in! He is so adorable! Ronnie, it’s funny you should say that, Marley enjoys Jewish food too. He especially likes brisket, but he also has a fondness for matzo, funny enough. We sometimes put a doggy kippa on him for the holidays. Thank goodness your springer spaniel was saved in time, he must have really loved his kreplach! We had a springer spaniel years ago that loved any kind of Jewish food. One year he watched my mother-in-law prepare kreplach. She had just set them all out on a cloth on the counter to cool off when Bumper made a grab for them. Approximately 80+ more later, he had his stomach pumped just before it burst. At least he left you some cake! I DIDN’T SPELL REALLY WRONG… JUST CAN’T TYPE. I HAVE 2 MASTIFFS(TALLER THAN MOST TABLES ) AND REAALY HAVE HAD NO TROUNLE WITH EITHER.THEY ARE BOTH RESCUE DAWGS. THEY CAN HOWEVER OPEN THIER BISKET BAG ON THIER OWN. Happy Birthday! 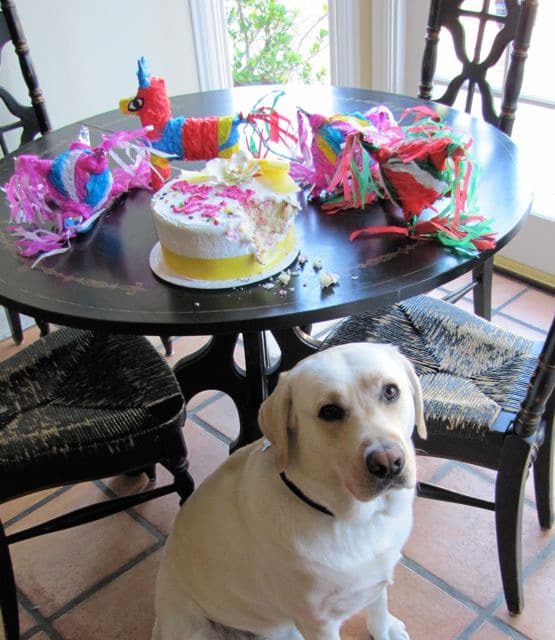 The cake must have been good…Marley had a good time! He is adorable…I have an Airdale by the name of Harley….must be something about the “arley” sound! 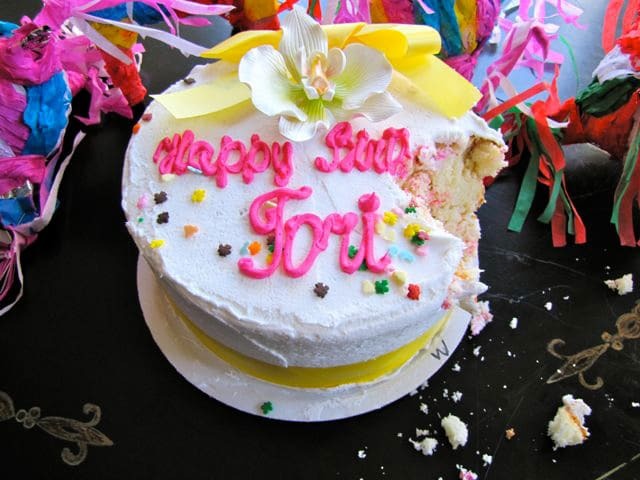 Loved your posting about your birthday, Tori! Such a beautiful boy you have there! How could anyone stay angry at Marley? He just wanted to join in the birthday celebration! Glad you had a fun and memorable one! I’m Christian, but love the Jewish people, culture, religion and food! Pope John Paul II was fond of referring to the Jewish people as “our elder brothers in the faith”. Curious. Is Nov 22, really your birthday???? I have never met anyone else with my same birthday. Hope you had a great day after that surprise. Aw!!! Marley is soooooo cute! Happy Birthday Tori! Labradors are amazing dogs but can be quite the troublemakers. 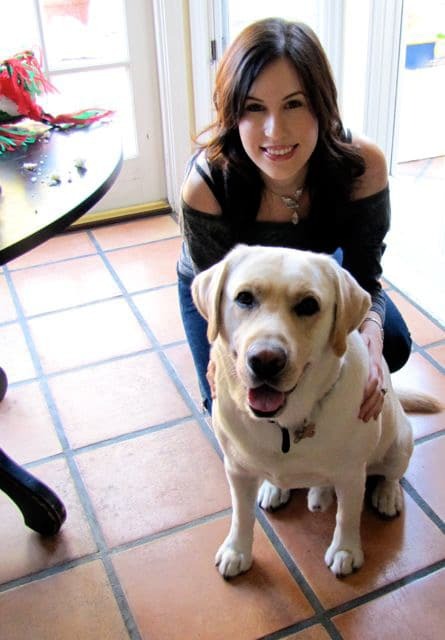 My sister’s lab, Hershey, used to be called “Hershey, the dog from Hell.” She could wipe out hundreds of dollars of ornaments with a swipe of her tail. Her first Christmas almost became her last as she wiped out a collection of glass ornaments, antique ornaments and a Christmas tree in a few minutes. Marley is still a good boy. Think of it this way- your friend made you smile and in his own way so did Marley. The way I see it, that’s two smiles in a short while. A great Birthday. Happy Birthday. Happy Birthday, that’s definitely a birthday to remember thanks to Marley. too Cute and I love the guilty look on his face, oh he knows he’s done something naughty but he just couldn’t help himself. I have to agree with you, Bernice, Marley is the BEST birthday gift ever. I could never stay mad at him if I tried. He is an awesome dog, so full of love. he is the best bday gift you have! I hope you had a wonderful Birthday!!!!!!!! Marley is awesome! Marley looks so innocent sitting there by the table! My parents, z”l, had a black lab and one Thanksgiving we decided to go to a movie before we had pie. Well, needless to say that when we returned home, Barney had eaten one ENTIRE pumpkin pie and half a pecan pie. The tins were on the floor and Barney looked at us as if to say, “Hey… it’s my Thanksgiving, too!” Loved your accounting of the incident and the photos were great!! I have Pembroke Welsh Corgis, and they have never done this before, and I wouldn’t say they wouldn’t. Corgis are mischievous by nature, but not in a bad way, they will pull my socks out of the clothes hamper and play with them, or take a paper roll from the top of the trash can and play with it, but this was really very cute. Good for Marley!! . . . I am glad you love him so much he wasn’t in trouble . . . cheers!! I had to laugh at your Marley’s antics! I have two Labs now, and have learned to never, ever leave tempting items within reach. Our previous Lab, a girl, was an angel and certainly did not prepare us for these boys! Keep up the good work, and give us more stories about Marley, please. If you are interested, there is a wonderful forum dedicated to Labs and the people who love them: JustLabradors.com. Come and take a look! I have a little beagle named Kevin who gets into everything but we love him. Your Marley is so cute!